The idea of “genetically modified organisms” or GMOs has become a popular topic of conversation in recent years. It might even be mentioned in the same breath as global warming or today’s political divide. Unbeknownst to many, humans have been genetically altering the landscape of other species for thousands of years. It first started with wolves over 30,000 years ago when we accidentally domesticated them and set the stage for the typical house pet of today. For the past 20 years now, scientists have manipulated the gene landscape from a molecular level. In 1982, bacterial cells were genetically modified to produce humulin also known as synthetic insulin. As you may already guess, this discovery had enormous implications within the medical community. For the diabetic population, this undoubtedly would save millions of lives. It only took about a decade more in 1994 before this same kind of ingenuity started to impact commercialized food. Fast-forward to today and you may come across an aisle at your regular grocery store filled with foods carrying the infamous “GMO-free” label. Food companies have a responsibility to provide each consumer with useful information regarding their purchases. While the Nutrition Facts Label serves as an educational tool, the “GMO-free” label can take on a different meaning. It can frighten the general public as many deem GMO foods a “Frankenfood” that may be dangerous to a person’s health. But what the public doesn’t know is that when it comes to health concerns, the FDA has tested all GMOs on the market to determine whether they may be toxic or allergenic. The consensus is that they are not. So is it necessary to label GMO’s? 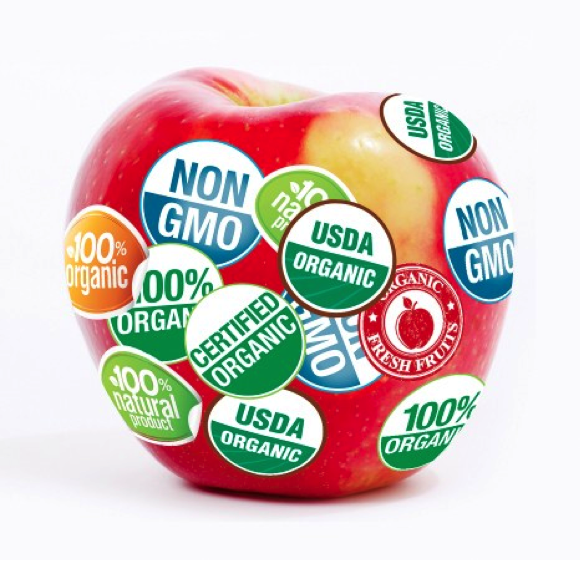 Some argue for transparency and just as organic foods are labeled in order to help consumers make a choice they also want to know which foods are genetically modified. However, others feel these labels consequently limit people’s options and further help to justify the high-prices normally encountered for 100% organic products. Anti-GMO organizations such as Greenpeace continue to stir up the antagonism toward GMO foods and strengthen the negative stigma attached to it. However, a strong stance in support of GMOs has unfolded within the scientific community. A 2014 meta-analysis of 147 studies looked at the impact that GMOs had on farm production both in developed and developing countries. These studies included primary data from farm surveys or field trials throughout the world, and reported impacts of any genetically modified crop on crop yields, farmer profit, and insecticide use. They found that the use of herbicide-tolerant (HT) soybean, cotton, and maize as well as insect-resistant (IR) maize and cotton resulted in a 22% increase in average yields, 68% increase in farmers profits, and 37% overall decrease in insecticide use. The high crop yields were particularly greater in developing countries, which tend to have more problems with insects. Despite the higher seed costs, farmers still experienced a net profit from the reduced cost in herbicides and higher crop yield. The potential of GMO foods may not just benefit developing countries financially, but also nutritionally. Predominantly in India, China, and the Philippines, there has much been concern over a vitamin A deficiency, which over the years has left millions at high risk for infection, diseases, and even blindness. Starting in the 1980s, researchers developed a rice grain that could express beta-carotene, which is a precursor for vitamin A. Approximately three quarters of a cup of this so-called “Golden Rice” provides the recommended daily amount of vitamin A. Several studies have been able to test and ensure the safety of this grain. Unfortunately, anti-GMO opposition has prolonged any field trials from being conducted, particularly in these third-world countries. Behind every bit of progress, there is always a need for compromise. Some of the major breakthroughs over the last 50 years have happened by accident or with minimal support. There is no question that GMO foods still need to be tested for environmental safety to protect our ecosystems. In addition, more research is needed to better understand its effects on long-term human health. It is up to us, however to educate others and ourselves in order to make an informed a decision for ourselves, our families, and our world.